Work for ESET Endpoint Security? I first came across ESET antivirus when battling a network infection. It was the ONLY one out of 11 that I tried that could identify and neutralize the infection. Since then, I have discovered so many other useful features. Aside from protecting my corporate network (everything from antivirus, ARP and other intrusion attacks, email and preventing drive-by website downloads) I use it at home where the implementation of a seperate, secure bank connection interface protects my financial transactions. IF I have a dislike, it might be how many flags I get regarding network issues (especially ARP related warnings when other workstations are scanning), but the controls are there to prevent them. Casual users might have issues with that level of complexity and it might be nice if there were some pre-set configurations for a few different user types, but whenever I have called for tech assistance, the response has been immediate and always at my level of expertise. If in doubt, try it free! I have one user (business owner "I know what I'm doing") who is constantly going where even I fear to tread on the internet. As the source of the infection that led me to discovering ESET, she has been successfully isolated from the corporate network whenever she has manages to download yet another piece of active malware and successfully cured. "Mantente seguro con eset endpoint security "
Consume pocos recursos ejecutándose en segundo plano, al iniciar con windows no presente ningún tipo de lentitud, fácil de instalar y de usar. La base de datos siempre se mantiene actualizada. Mantiene limpios y seguros los dispositivos de mi empresa. Bloquea muchos archivos que no son maliciosos y te desaparece los instaladores de los archivos que detecta como malicioso, se debe ingresar a la configuración para crear excepciones y no te elimine los ejecutables. Consideralo una buena opción como antivirus. La verdad es que es muy útil y sencillo de usar. Anteriormente los usuarios introducían memorias USB a los dispositivos de escritorio si saber que las mismas estaban infectadas, esto quitaba tiempo y esfuerzo al equipo de IT para detectar el problema y en muchos de los casos volver a reinstalar el sistema operativo al equipo, con Eset endpoint security esto quedo atrás ya que al insertar un disco duro portátil o memoria USB a cualquier equipo de la empresa que tiene instalado este antivirus automaticamente el mismo ejecuta un analisis evitando así que entren cualquier archivos malicioso. Actualmente tenemos instalado eset endpoint security en los servidores locales de nuestra empresa. "Eset Endpoint - Complete Protection"
Eset Endpoint Security, provides complete protection for all computers where it has been installed, protects and performs a deep scan of computer threats, creates an optimal security shield for threats coming from the web, giving constant alerts of dangerous sites or Not recommended that can affect the security of any company, creates a protection shield type firewall, for local network connections, protecting both outgoing communication, as the incoming network, in an optimal and accurate. sometimes it blocks some files that are not any type of threats, but this detects them as something suspicious and must be created exceptions in the configuration of the antivirus protection, to avoid that some files are not deleted automatically. The security of the desktops of our company has the best security, which can be found, ESET is a brand recognized worldwide, for providing the best protection against all types of threats that can affect the safety of people or companies, With Es et in our help desk team, we find the best tool to provide security to all our teams for which we are responsible. "Performs its functions without exhausting system resources"
Eset endpoint security is a good antivirus that consumes few system resources and is updated daily. In addition to antivirus protection it has firewall protection and makes notifications if the operating system needs to be updated to mitigate any vulnerability. Performs scans to the equipment and external devices just by inserting them, such as USB memories, external hard drives, mobile phones, etc. It allows document protection and device control. And if you are in a presentation, you can pause to not exhaust system resources. When you are going to introduce an external device, choose to examine it manually before using it, just to be sure that there are no risks. It was necessary to have protection against viruses and malware and in that ESET has helped us, as well as having a good firewall for each PC. Light on system resources yet intelligent and powerful. It doesn't interfere with any daily user - running discreetly in the background and doesn't present itself as nanny-ware. The only time it's prompted my users was when there was actually an issue. Having to use a re-seller for larger license purchases and renewals. I'd prefer to work directly with ESET rather than a 3rd party as when I have questions about other products etc - they often have to reach out to ESET directly to get the answers that I feel the re-seller should have knowledge on. My only other issue is with ESET separating products into tiers such as SMB, Large Biz, and enterprise. We're technically a SMB but we deal with Enterprise level controls and security - the product offering should be the same. While not as prominent as some of the larger market share programs - ESET is ahead of them when it comes to actual protection. It doesn't interfere with the daily user yet was ahead of two major ransomware virus without even needing a patch. We use it for laptop protection but the license also applies to other products in the same software suite from eset. "Low resources cosuming but some holes"
Is a low resource consumer for laptops and PCs, mostly run on the back and you dont note it. It is simple, easy of use and provide a good security for the laptops, PC and mobile. The application update the viruses databse almost every day and provide multiple options to get a better web, mail, antispam, antiphising, adware protection, etc. When I try to surf on the web, the application blocks most of the pop ups, viruses, windows, etc, but every day more pop ups, viruses and marketing can pass to the PC, the ESET program didnt block the new adware, spyware and malware. Is a nice firewall and antivirus, consuming low resources, and blocking the most of the attacks. Before ESET ES, we didnt have any protection to malware, spyware and adwar. ESET provide a efficient firewall and antivirus, it is not infallible, but its ok by now. ESET’s interface is easy to understand, manage, and navigate and also offers the same support to your mobile devise. Tools menu includes links to the connected home monitor, banking and payment protection, webcam protection, email and spam monitoring, malware/botnet protection, as well as an anti-theft feature if you want to track your device. Security settings for banking and online shopping protection, as well as home network security status of all the devices. Con’s: Banking and payment security option sometimes makes it difficult to access your banking account without going through additional configurations. Any product you decide to use is beneficial. Eset is the best that I have found. I have regular daily run-times that eradicates security issues immediately. Eset provides prompts for updates, out of date modules, and can monitor specific sites. Keeping my PC running clean and fast is important to me. I do photo/video work and having the potential of a malicious virus entering my computer just isn't an option. With ESET my computer has been kept clean and clear of malicious attacks. The program starts up quickly and works quietly in the background. Occasionally, an ESET window will pop up telling me information about what my built-in camera on my laptop is being used for. This is both a comfort but also an annoyance at times. It's a bit annoying that the app's notifications won't clear out unless you click on it and open the app. The benefits are that my many Terabytes of data stay safe. I couldn't afford to lose any of it or have it held hostage. "I love the peace of mind"
ESET is a comprehensive suite that protects my computer online and with email, as well as with programs and files. The customization possible can be very granular if you need it, or the program will learn for you. The only negative issue I've encountered is that the banking protection is no longer automatic with the latest ESET update. Before, when ESET detected a banking or credit website, it would automatically launch a secure browser. Now it opens an ESET page with directions to open the ESET Banking Protection browser in your Tools menu. Threat protection from malicious attachments in emails, unsafe website alerts, malware. I'm not an IT professional, and I'm happy that I don't have to think about it with ESET installed. "BEST PROTECTION WITH OPTIMUM RESOURCE NEEDED FOR RUNNING"
Eset is the best ever protection for business as well as home user's. I am using Eset Antivirus at my home from past 5 years. When I first tried, I saw it was a very simple and performance optimised product. Wonderful management for Eset endpoint security by Eset ERA appliance. Easy to setup and use. The best part is endpoint licence can be used on any platform. KB articles are very helpful and best. There was nothing which I could day is bad or I disliked. But I would suggest making more improvements to settings option for some features. Try Eset and you will definitely love it. I suggested ESET Endpoint Security to one of our client. After I deployed Eset I huge amount of adware and malware detected and cleaned. The best part was that it protected from filtered websites automatically adding advance level of protection. Also, the system with low hardware configuration is running smooth and without any lag or unnecessary device utilisation. I enjoy the continuous protection, automatic updates (one less thing I have to remember and saves time! ), and comparably small size of this program in comparison to other options. The interface is amazingly simple and is what (in my opinion) all antivirus programs should strive to emulate. A simple graphic/logo on the main screen is combined with a status message that reaffirms you are protected and will (when applicable) give you any messages regarding status or potential issues. A second tab contains update and version information so you can see at a glance when it was done and that you have the most up to date info. A third tab contains your account and subscription information. All are easy to read with simple, clean layouts and no clutter. In all honesty, there's really nothing to complain about. Sure there are occasional popups, but that's a given with any security software. While annoying I know they aren't going anywhere and therefore no point in getting my feathers ruffled. Peace of mind, multi platform options available, and secure internet banking all at a very reasonable cost. Why haven't you switched already? When combined with our other programs it provides complete peace of mind. I don't worry that someone is tunneling into my data or watching what I'm doing as I'm doing it, even though lots of that data is delicate or could be used against people. "My ESET Review my for BikeBandit." The best part of this is being able to access online because we had an old ERA 5.2 and we were not able to access online. Now I am to be at home monitor the PCs at home. This helps with managing time. The old ERA 5.2 .26 had separation of the client PC, Threat log, Firewall log etc... This new version does it all together which I do not like. I guess I need to get used to it. Also installing the agent was not easy on most PCs. Not much so far. It's fixed the normal issues from day to day. The benefit that I realized was being able to access the ERA online which helps out a lot. "An effective protector to raise the level of online security"
A positive quality of Eset that deserves to be highlighted is its fantastic efficiency to analyze a real threat and only after that issue a security alert, if you have already worked with antivirus, you have certainly encountered stressful situations of false alerts that locked computer programs and the whole work progressed, with Eset you will hardly face this problem, it has extreme efficiency and a high hit rate when detecting a threat, thus avoiding the false alerts and their annoyances. The negative point of Eset endpoint security for me is its price is a little high, there are several security tools there, it is a highly disputed market and if Eset does not want to stay stagnant should improve the price of your endpoint a little. Eset endpoint security is a great online security solution, it is complete, it has everything you need, if your price is not a problem for you or your company, surely it is an option that you should consider.It is very easy to use and its implementation is very fast and simple, another advantage of Eset is that it does not damage the performance of the machines where it is installed, it is a lightweight program although it is efficient and complete. In order to raise its level of security, our company searched for a solution that would increase its ability to protect against various threats such as intruders, viruses, trojans and several other types of threats that could hit our system, Eset endpoint security, which met our expectations very efficiently, Eset not only helped protect the company's desktops as well as its servers giving the extra layer of security we needed for our work environment. "My Experience With ESET Endpoint Security"
I have used ESET Endpoint Security for close to three years now and there are several things that I like. First, this tool has a friendly user interface which means that using and interacting with ESET is seamless. This endpoint protection tool is also easy to customize and getting reports regarding the status of any computer system is easy. All I need is initiate a deep scan and within minutes or hours depending on storage size and areas to be scanned, I will get a full report. The virus and malware detection rate are also great and a more reason why I like ESET Endpoint Security. Lastly, this tool keeps my PC safe when browsing online and when using external drives and all these gives me a peace of mind that my PC is safe from virus and malware intrusion. I have no complains about ESET Endpoint Security. It works great and relatively affordable compared to other powerful endpoint security tools in its class. ESET Endpoint Security is what you need when it comes to endpoint protection. It is relatively affordable and powerful. We ESET Endpoint Security mainly as antivirus and also for endpoint management. With this tool, will are able to keep viruses and malware at bay and this keeps our PC systems running efficiently and this also ensures the security of our business data. ESET Endpoint Security is great tool when it comes to keeping viruses and malware at bay. To start with, it is a light software, easy to use and very powerful. Secondly, it is very affordable compared to other options in the market. The detection rate of viruses and malware is very high which guarantee grate PC security. Whether online or offline i.e. when using flash drives, am always sure of great protection and safety of my data. Lastly, with this tool, I can scan the whole PC any time and get a report which makes it effortless to monitor PC threats. I have used ESET Endpoint Security for long and I have no problems. It is a must have. If you are considering ESET Endpoint Security, then go for it. It is powerful and affordable. With ESET Endpoint Security, it is now easy to keep our computer systems free of malware and viruses. "The Best Endpoint Security Tool"
What I like most about ESET Endpoint Security is that it is easy to setup and use. It has versions for different operating systems I.e. Windows, Linux, Mac, etc which takes of every user. Most importantly, I like how powerful ESET is when it comes to detecting and screening out viruses and malware. Finally, ESET Endpoint Security is a light weight software which means no lagging and it is unobtrusive. I have encountered no issues using ESET Endpoint Security. However, I have to admit that ESET is a bit pricey compered to other software in the market. ESET Endpoint Security is a must have antivirus. If your business has not implemented it already, it is time to to setup this tool. Even though it is expensive, you can be sure that your business data is safe with this software in place. "ESET is the best, and we have tested this!" We like the intuitive UI and the superior functionality of ESET Endpoint Security. When compared to alternatives its obvious ESET clearly the best option. The management using Connectwise Automate is lacking. It has been getting better but we are still having troubles with some deployment aspects, policy applications, and licensing. This is the best AV solution we have tested. We have been using it since 2008. We use ESET Endpoint to secure all of our client machines as well as our own internally. We used to layer it with Malwarebytes but with the recent increases of functionality we have phased out MB and are relying solely on ESET and it has not let us down! "Very easy to use and manage"
With Eset it is easy to manage all the clients of this software, through a single web console that functions as a central remote administrator. Its technical support works great, this being an important advantage because no matter how good a software is there will always be problems in it. Of course you can not stop by the incredible interface that has Eset Endpoint that provides a simple window and very easy to use when managing the software. The cost of Eset EndPoint is still its most crucial point, its price is very high, which creates the question of how necessary is the software within the company before starting to use it, out of this I did not find problems related to this software . Eset It has features that make it stand out from the rest of the programs of its class, however the price is high, if within the characteristics of your company you manage a good amount of money and it is of great need to keep you always protected against possible cyber threats this software is for you. In addition to its remote installation shows how fast and simple it is to use this software. Its main function as that of any antivirus was fulfilled, which was to protect the hard drive and other portable or removable locations of all types of malwares. This meant that the software was used in almost all work units within the organization, serving our organization with endless positive results. "ESET and MacOS: An Excellent Pairing"
ESET provides comprehensive, transparent protection for my MacOS devices without interfering with the efficiency of my operating system. It's easy to install, configure (default settings are great for just about everyone), and update, and ESET's customer communications, including a very detailed knowledge base online, make it clear I've chosen the right antivirus solution! In the past, I've had intermittent issues with virus definition updates over the internet, but I haven't had such issues for some time now. In our BYOB office environment, we need to make sure that everyone has sufficient antivirus protection on their machines, and ESET is, hands-down, the best solution for MacOS. I've tried them all and found none better! My favorite part of Eset security is it's small footprint. I'm currently not using the Endpoint version, but I have in the past and recommend it without question. The ONLY thing I have issues with is the pricing. Even that isn't all that bad. This product is great for anyone, large or small. It has helped us increase security and reduce malware. It is far less intrusive than almost any other product. It has a MUCH smaller footprint than any of the other products I've tried. I used to be a user of Norton and McAfee, and since I switched, I have been a very satisfied customer/user. Security and antivirus are ALWAYS problems with small businesses. I have used ESET for over ten years, and I"ve NEVER had a problem with malware, viruses, ransomware or even phishing email scams. This software warns me every time. It even controls popup ads in our browsers. I'm currently only using the Antivirus, but have used Endpoint in the past. "Just set it and forget it!" It can be set up so that the users don't even know it's running. It will clean harmful files in the background without them having to make decisions on what to do. If you use the Remote Administrator, you can see in one spot all of the machines in the environment, any threats on those machines, version of the software, and the last time they checked in. Super handy to roll out new deployments as well as very easy to modify firewall rules for a group of people at a time. On some of the locked down Windows 10 workstations, it can be hard to temporarily disable the client to see if the firewall or A/V is causing an issue with some other product. When whitelisting applications, it needs the full path of the application, which can be tricky to deal with if it was install into the users/appdata folder. It wasn't intuitive on how to get around this and we spent a lot of time reading the documentation to overcome it. We needed an easy way to manage the A/V and firewall on a lot of remote laptops and internal machines and we did not want to have to go visit every machine to set it up, nor did we want to have to rely on end users to verify that the definitions are up to date. This saved us tons of time and money in management! "ESET catches the stuff others overlook"
I like that ESET starts from a strong defensive posture, but allows me to make exceptions where needed. Other providers do not start as strong, which left me vulnerable to attacks I didn't see coming. The web interface is extremely user friendly and intuitive to use. The ability to custom build installation files is also a plus. Then downloading to a thumbdrive or other external device makes it easier to get keep the software up-to-date for our remote users. Module updates are cumbersome, especially for laptops working remotely from my home domain. They are the machines most at risk in my organization, but the hardest ones to keep current. Also, the dependence on the DNS causes a lot of headaches. When the remote laptops come to our offices, they sometimes get a new IP from DHCP, which makes a new DNS entry. Then that machine shows up as a duplicate machine in ESET. Get your network configuration and DNS rules manageable before you implement. Otherwise you will end up, as I did, with many rougue machines in your list of machines. ESET proactively scans webpages and emails, blocking first anything that looks harmful. Then notifies me, so I can take action to allow it if needed. "ESET continues to be a solid and reliable product"
Fast, robust and powerful. ESET continues to impress with its products. It installs and performs fast and helps the end user stay protected at all times. Its remote management helps to ensure that administrators can remotly resolve issues before they become part of a bigger problem. The endpint software sometimes does not update its software versions automatically, but deifintitions keep stay current, which is good. Would recommend giving their trial a run. ESET's definitions are always good in terms of getting exploits and other issues that may arise before they become a wider problem and their software is lightweight enough for any computer. ESET helps us IT administrators by ensuring that our end users are always protected and have the ability to remotely solve issues. The benefits that ESET brings to our table helps us to minimize exploits and other security threats and also ensures that issues can be safely quarantined. Breadth of products offered. We use ESET for desktop and server protection. We also use the ESET Security Management Center, which replaced the previous ESET Remote Administration server and console. Definition updates are available daily and the auto update feature for clients is smooth. All the information available in the Security Management Center is helpful. A few years back when the ERA console was changed to a Web-based interface I had some trouble adjusting. The new Security Management Center is another change to the interface. Again I had to adjust to the changes but I do like it. Read the documentation. Understand the installation and implementation/configuration. There is a lot of depth to this product. The more you understand, the easier it is to use. The central management of protection for our endpoints is probably my favorite part of the product. I receive an email when a potential threat is identified on an endpoint. The products are solid anti-virus solutions I believe and I can update/upgrade endpoints using the central management features. "Light on ressources but strong on security"
The ease of install and the renew process, The price is good too for the protection you get. Honestly, I've been around for 10 years now and I saw a lot of Antivirus and I will recommend Eset in any of is version versus any other antivirus. Eset is light on ressources but strong on security. Like they said "try it is adopting it". Since I got in my actual job 7 years ago we recommend Eset endpoint security to all our client. The endpoint is easy to manage with the administrator console and the renew process is automatic the time the renew is process at Eset it's automatically updated in the antivirus software. Very simple and time saving. Switch to Eset you'll won't regret! We got less infected computer than before, so for an IT departement that managed over 600 endpoint, it's prettry good for our business. "Not Clunky, Easy to use, Fast"
Its easy to use, sleek design makes it simple for even non-computer literate people. I recommended this software to the company I work for and love it. They don't want constant popups and questions they have to answer or acknowledge, nor do I want to do that to 15 computers. We're a small business and I'm the IT department on top of Office Manager. I cant spend all day running to each computer to answer silly questions. The price is reasonable and well within the industry standards for other comparable softwares. Initial setup can be a bit of a pain. I had a few minor issues in setup but worked past them quickly. Go for it. Its been a nice swap for us and we have great confidence in the company and its protection offered. Security on several computers within our office. Its an easy to maintain security software for a small business. I can set it up and forget that it exists until a problem arises and we honestly havent had any issues. "Best Antivirus Software for Buissness"
We have not had a virius since switching to ESet. The software works great and does not cause the computers to slow down. We have tried several other products but none of them work as well. The Server Management system ERA is a bit difficult to work with and takes multiple steps to do some tasks. While the system keeps virus definitions up to date, it does not automatically update the client software. Our computers run better and we have not had any viruses. We have tested several other Virus software packages that are a bit cheaper and none of them compare to Eset. "ESET allows me to focus on everything else computer related"
ESET does not overtax our systems; it was advertised as having a small "footprint" and it does. We have no worries at our work site (Municipal Wastewater Facility) about virus catching, and we do not observe our systems getting bogged down. There really is nothing I do not like with ESET. We've been customers for several years, and the product worked so well and easily for us that I purchased licenses for home as well. I do not feel you can go wrong with this product. I recommend to all home users as well as business users. I use it at home for my family. We have not had any issues with virus, at all, while other departments have. Our site has been safe. "Incredible software - highly recommended for corporate environment"
Since installing ESET on our company network, virus infections and malware have dropped to almost zero. ESET catches everything. Infected files in email, phishing, unsafe attachments and USB drive bypass attempts. Set it up, monitor it from the master console, and you're all set! Nothing! ESET is the best antivirus our company has ever used. We switched to ESET almost five years ago and have never looked back. Install the demo. Try the emergency recovery USB utility. The application is amazing. When virus infections and email phishing are virtually eliminated, it gives the IT department a LOT of breathing room to focus on training, configurations and WAN security. Installed without issues, runs better than ANY other AV I have EVER used, blocks the issues before the user can attempt to use the questionable files. Low system resources used. This is the way it is supposed to be! Really....nothing I dislike about the product. I expect to get a good product when I buy it. I manage the I.T. side of a 17 site restaurant company and I rest easy knowing I have, what I truly believe to be, the BEST AV product out there. It blocks all the attempted hacking scripts sent in fictitious emails. What more can I say, it does everything it states it will do. "Nice and save security systeme"
I like the company serial number for all of my team. We just have one activation for the team. It is easy to manage online. We never had any problem since 4 years of utilisation. Went we renewed the license the delay was a little bit long to be activate on every exploitation systeme. I think that will be good to have a very simple application for the employe of the company went they are not the administrator of the license. That will say just your protection is on. That will be very simple. Since we use Eset we don't have any problem with virus. ESET is there, hiding behind your screen, behind everything that you do and when you do something that endangers your computer's health and well being it is there to stop you. It sends you a polite but insistent warning saying don't go there, it will be bad for your health and well being. Feel safe because you have a cop inside, behind the screen. Not much. I don't like to pay for it. It comes out from behind the screen annually and demands a minor ransom to continue its protection game. It provides safety for our bank accounts and other financial records. It goes the extra mile when we need it. It always provides me with confidence that I am protected and safe no matter where I go on the internet. It will tell me if I take a bad turn. Block websites that I frequently visit making it necessary to disable protection. Could lead to unprotected transactions. Daily scanning a must. The program update procedure can be a bit difficult. It doesn't just auto upgrade major versions, you have to apply them a certain way if you want to manage them via the remote console. Not all the latest versions work with the remote management software. ESET is always at the forefront of cyber security making almost all transactions safe. Evaluates malware-related data. I am one of the million enthusiasts of ESET Endpoint Security. "Comprehensive Security Solution that doesn't run heavy on your PC/Network." ESET Delivers several options/flavors for an end users security needs for their PC's and networks. The things I enjoy most about their products is how light they run on my clients systems and how easily they are to manage and configure. Most importantly, they update their products and definition files rapidly to ensure the end users have the most up to date protection as possible. I can't really say there's anything that I dislike about their product other than I wish their price points were a little more competitive to other commonly used security suites. All I can really say is that ESET has definitely won me over with their product so far. I honestly can't say anything about their "support" yet because I haven't really had a need to call for support, I look at that as a very good thing though. I mostly have ESET ES in place for virus and network security. I do have a few clients that enjoy the banking protection as well. "By Far the Best Firewall, Anti-Virus, and Security for Business, Workstation, and Home End users"
The best features are the customized settings that are available beginner and advanced users. It offers many factor tools that you can focus on for your specific Computer, Network, and personal preference. There is nothing that I dislike about this product; in fact most ESET products are far superior to basically everything else. I have NEVER had a problem with deployment of any of ESETS products across multiple platforms and environments. During scanning, I can still use most of my devices without degraded performance by the product and or the machine and network. Detection is fast, with on the fly changing of settings makes for a unique, professional, and satisfying experience. "Endpoint Antivirus works great, Management Console not so much"
The Endpoint Antivirus is light weight, always works, has great features and hasn't ever caused conflicts that we have detected. The management console and deployment tools contained therein are miserable. I can usually pick up a new piece of software like this and intuitively be running (maybe not perfectly) in 30-60 minutes. Not so with ESET. It is bulky, tries to add too many auxiliary features, and usually requires tech support. Make sure you get help installing the product if you can. In conjunction with other security products we have remained virus, ransomware free for the past 7 years. "Best Endpoint Antivirus solution around!" Remote administration tool also allows us to easily manage 6000 systems. In fact this is all done by a single person. This product is perfect for what we do so I have not disklikes. With our previous software I was constantly plagued with it's various services taking up 70%+ of the CPU at various times on systems. In 10 years I have yet to have a single issue with ESET; it just works. We haven't had any outbreaks as ESET is very good at catching and notifying us of problems. If we need help with exemptions and exclusions ESET has worked with us and various vendors to come up with a solution. Best solution out there by far! So easy that one person can manage this as an additional task and not have to have extra staff to manage. "Lightweight easy to use software"
This software was chosen by our office to secure everyone's PCs and not one of us have had an issue with it. We have hundreds of emails with trojans sent to us each and everyday, and ESET has protected us from all of them. The main issue that ESET has solved is the frequent phishing attempts, and viruses that are sent to us daily. "LONG term user. Eset is simply the best." Besides being extremely easy to set up and use, ESET gives me total peace of mind. I know I am being protected. I have used ESET since 2005. Ever since switching I have had ZERO let me repeat ZERO major issues. I am always given prompts on dangerous sites, warned on suspicious files, which I promptly scan and either confirm those concerns or are able to clear an unwanted viruses. I used to have regular issues... but not since I switched. Our entire office and every computer in the business uses ESET now too. When new features come out I feel like the information on exactly how to best use the new features aren't explained simply enough. It often takes me months before I know how to use them if I activate them at all. Just because there isn't enough information given early enough upon the release of the new features. ESET Endpoint Security is the way to go, PERIOD! Again. Peace of mind. I know our computers are safe. I also am able to curtail unwanted searches and viewing of inappropriate material in the office. ESET has a very small footprint on the local pc's. It does not impact system resources like other products that i have used in the past. It had excellent antivirus/firewall ability. I like most things about this product. I wish the remote administrator had the ability to automatically deploy new versions as they come out. You have to manually set this task up. I would strongly consider comparing ESET Endpoint Security against what you are currently using to see what additional benefits might be gained for you. We have a need for network security and also protect our data. ESET Endpoint Protection has the ability to lock down devices. We lock down the use of USB drives to be sure that large amounts of data are not copied and taken off site. This is not always appreciated by the end users, but does help greatly with data security. I have used this product for years at multiple business and never had a virus it did not catch. Nothing Eset is a Great product. I have had no issues with this product works as expected. has always detected and prevented viruses as expected. the only down side would be that I have had small issues where it detects a legitimate monitoring software product as a virus but issue was resolved by setting an exclusion for the product in question. I prefer the Anti-Virus only product I do not use the full firewall product from Eset I use other products for Firewall and Malware etc. Keep PC's virus free. Daily scans. Search for PUPs and remove malware. block unwanted spam. It provides the additional protection computers need from their users and provides the management you want for an IT professional. The installation was easy and keeps the computers clean. Update often to provide the best security. Good management console. We have 10 servers that run ESET and more than 70 employee computers. In the past, we used several antivirus and security solutions, however, without the ability to manage from a central location, it was difficult to expand our coverage. The procedure for updating the program can be a bit difficult. Not only does it automatically update the main versions, you have to apply them in a certain way if you want to manage them through the remote console. Not all the latest versions work with remote administration software. It is recommended when you have an organization with many computers connected to a network. Install the control panel on a server and you can control all security problems from that panel for all computers on the network, without having to approach each computer separately. Once configured, it is very easy to manage and control clients. All the computers connected to the network have it installed, and we have had little or no problems with the viruses since then. "Low Footprint Client AV With Central Admin"
Eset Endpoint offers a client with one of the lowest footprints - resource wise - we have used. Most users do not even notice it is there. It is also relatively silent, which also helps keep it "out of the way" of our users. It also has a decent central administration tool. The central admin application is a bit confusing, and there is a bit of a learning curve in setting up deployments and automatically pushing out configurations. Low cost, low footprint endpoint solution that compliments other security layers. We are using it mainly for endpoint AV, we also started using it for File Server AV. We like the central management, with alerting that it provides. It has blocked items that have gotten through our other layers of security. Helps reduce endpoint downtime. "Best Anti-Virus I have used"
Ease of maintaining the coverage, deploying to entire company with ease through Active Directory. Setting up Firewall policies and pushing out with no problems at all. The amazing tech support if there is a problem or I don't know how to complete something. How they block every program in our network. Once setup with policies it is no more an issue. Do a trial and you will not be disappointed. It is predictive and not reactionary to problems and viruses. Will be ahead of you in all aspects. "Strong and complete protection, easy to use and administer." I like it to be easy to use. The centralized management console is very wide. The reports are easy to understand and the central console is very functional, I like that it adapts to different platforms and there are no problems, it works correctly. The activation of the licenses is very easy, everything is done online, it has a simple mode for most users and very advanced settings for advanced users. If used for business, you can control the configuration on all clients from a remote terminal, available on multiple platforms, Linux, Windows, Mac makes it easy to have a single window for most customers, and multiple configurations for small and medium businesses or individual or business users makes the sale very easy. As with all anti-virus software, settings are important! If you go into the advanced settings and tell Eset to alert you at every possible instance, you'll end up with more nag windows than you want. Apply settings that are a good fit and you'll be happy. Complete protection, and ease of use. Customer support is there should you need them, and they know exactly what they are doing. We have used ESET products for our company for 3 years. We stumbled when we upgraded to Windows 10, but ESET came out with a solution immediately. We have been very impressed by its functionality and ability to proactively manage protection. "Better than others I've used"
I really like that there isn't any bloatware added on. I don't have to worry that the next update will install a useless component that doesn't add to my current coverage. The only thing that I don't like is an occasional issue with the Device control not being enabled. I have found that it usually means there are Windows updates that need to be applied, so it's not really a problem. I find that the secure browser that comes with ESET Endpoint Security is the best tool for paying bills or buying products online. The best feature of ESET is that it is so lightweight! It's like I don't have anything running at all, but the effectiveness is amazing.. There's really nothing to dislike.. unless it was offered at a lower price! buy it.. its the best.. I first learned of the product from one of the application leads working for IBM on the IBM virus scanning software! "Great Company with a fantastic protection software"
No viruses in any workstations in the field for 3 years in a row. Absolutely nothing to dislike! This is the best AV solution we have used period! Buy it you will not be disappointed. I talked my company into the switch and Eset has been making me look good ever since! 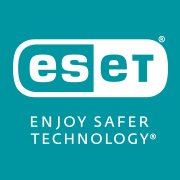 We are keeping our data safe with Eset. We had a few incedents with file encoders in the past using Bitdefender and others. Eset is the all in one protection solution we were looking for. Learning about ESET Endpoint Security? * We monitor all ESET Endpoint Security reviews to prevent fraudulent reviews and keep review quality high. We do not post reviews by company employees or direct competitors. Validated reviews require the user to submit a screenshot of the product containing their user ID, in order to verify a user is an actual user of the product. Hi there! Are you looking to implement a solution like ESET?